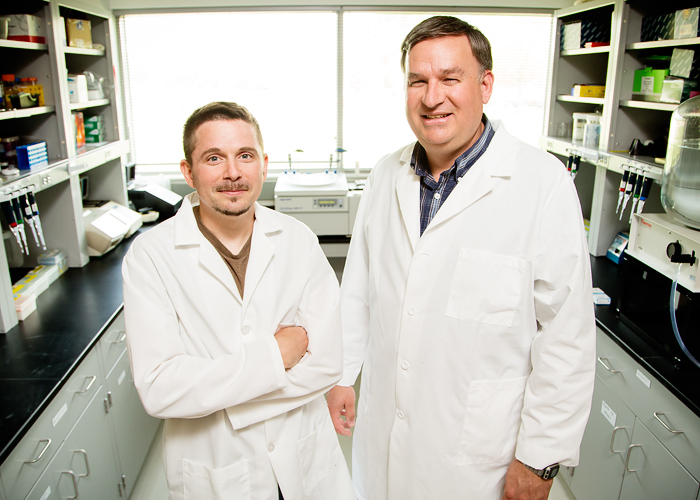 Graduate student Daniel Raudabaugh, left, and mycologist Andrew Miller, of the Illinois Natural History Survey, conducted the first in-depth study of the basic biology of Ophidiomyces ophiodiicola, the fungus that causes snake fungal disease. 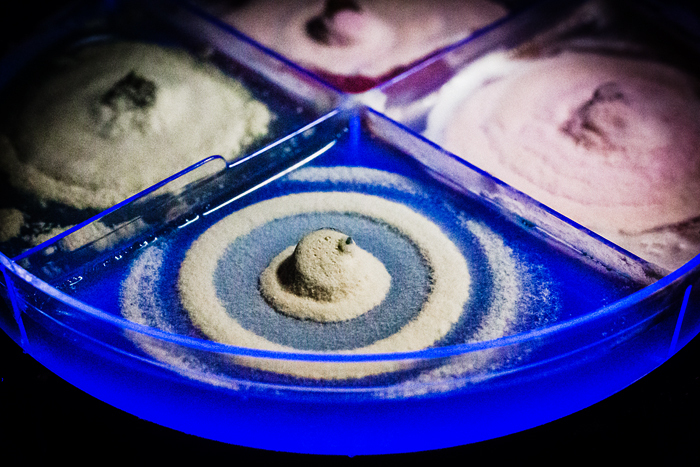 The fungus Ophidiomyces ophiodiicola can infect, and kill, multiple species of snakes. 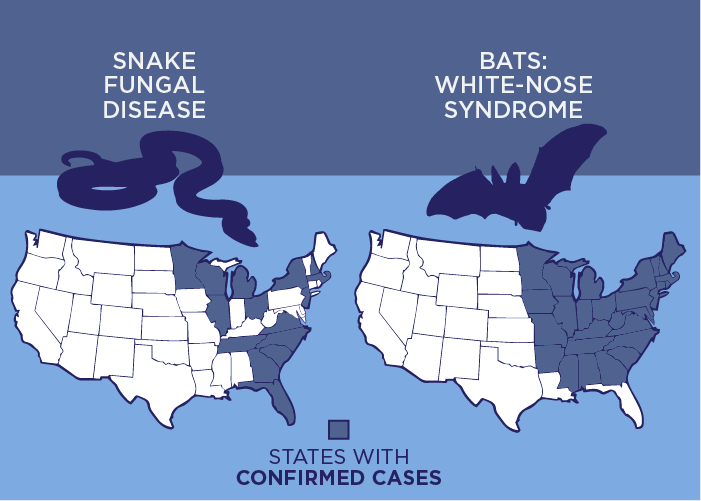 Ophidiomyces ophiodiicola, a fungus that is afflicting snakes across the Midwest and Eastern U.S., shares many traits with the fungus that causes white-nose syndrome in bats, researchers report. 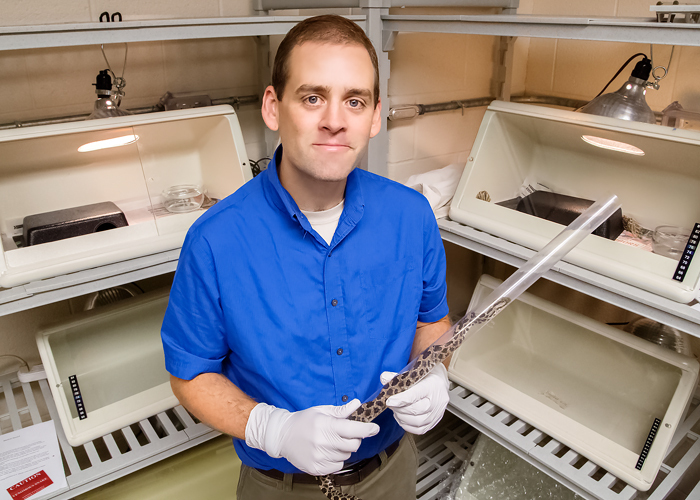 While attention to white-nose syndrome is gaining steam in scientific circles, researchers have been slower to recognize similar emerging diseases in reptiles and amphibians, said University of Illinois comparative biosciences professor Matthew Allender. 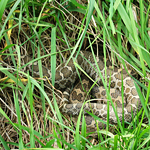 An emerging fungal disease threatens many snake species, including the eastern massasauga rattlesnake. Editor's note: To reach Matthew Allender, call 217-265-0320; email mcallend@illinois.edu. To reach Andrew Miller, call 217-244-0439; email amiller7@illinois.edu. To reach Daniel Raudabaugh, call 217-244-0493; email raudaba2@illinois.edu. The paper, “The natural history, ecology, and epidemiology of Ophidiomyces ophiodiicola and its potential impact on free-ranging snake populations,” is available online or from the U. of I. News Bureau.